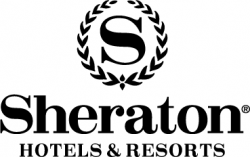 Symmetrical and conservative, the Sheraton Hotels and Resorts logo accurately reflects and expresses the storied nature of the brand and its heritage as an icon of five-star quality accommodation. 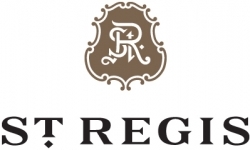 Set in an elegantly simple wreath - a symbol of excellence - Sheraton's 'S' icon is a seal which lends itself to necessary versatile application, from stationery and toiletries to billboards and building signage. Set in a warm orange and represented by an old time scene of a winery and vineyards, The Carneros Inn's logo evokes heart warming nostalgia and comfort, reflective of the resort's experience. Punctuated by an elegant flickering candle flame icon set inside a replication of the overlapping double 'O's in its word mark, the Candlewood Suites logo adds a touch of sophistication to a brand whose position is in the mid-to-lower tier of hotel accommodations. Friendly, optimistic and welcoming, Days Inn's logo sets a warm tone and happy impression with a well crafted yellow / blue sunrise mark whose conspicuous presence atop tall freeway signs acts as a welcome herald to weary travelers. 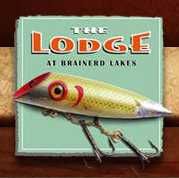 Beautifully and carefully crafted, the logo representing The Lodge At Brainerd Lakes entices visitors by evoking the romantic style of early 20th century travel posters when times were simpler and travel was more personal.